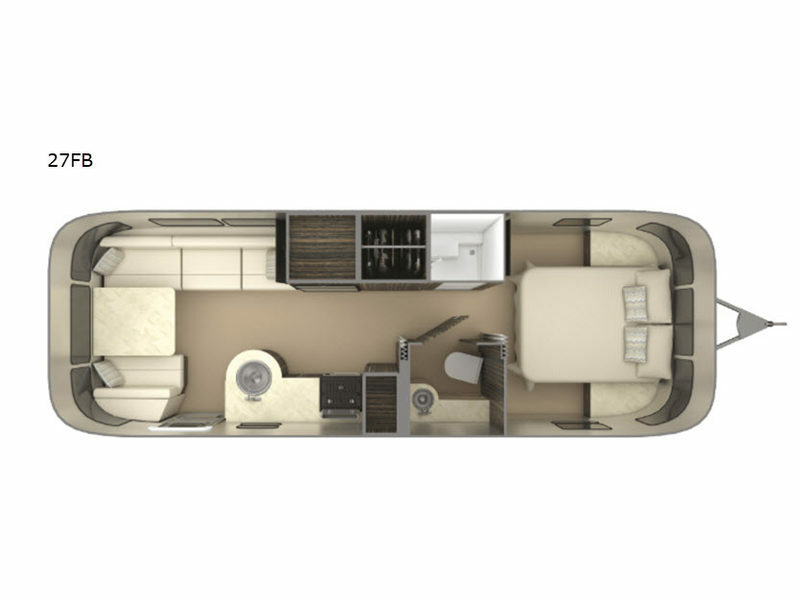 Enjoy all of your travel adventures with this International Signature travel trailer 27FB by Airstream. This unit features all that you need to feel at home while you are away. The split bath provides a shower, and a private toilet area with sink across from each other. There is also a large wardrobe next to the shower where you can tuck away all of your clothing, plus towels and other belongings. The semi-private bedroom is located in the front and equipped with a LED TV for you to enjoy your favorite movies. Meal time can be family time when you enjoy them at the booth dinette which can also be transformed into an extra sleeping space.